Ryan Braun suspension overturned: Is it right for the baseball star to get off on a technicality? Should Ryan Braun get out of a drug suspension because of a urine collector’s tiny mistake? 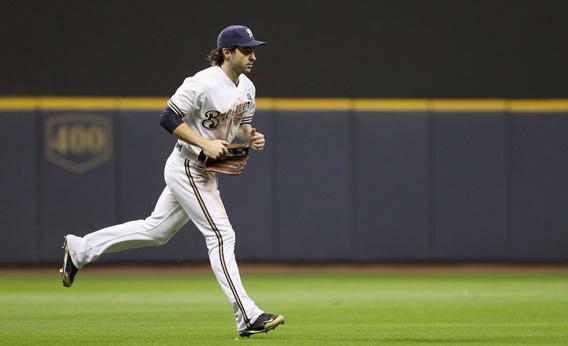 Does Ryan Braun’s escape serve the interests of justice, no matter how bad it makes Major League Baseball look? Ryan Braun, reigning National League MVP, was suspended by Major League Baseball for 50 games after testing positive for a performance-enhancing drug—and now he’s off the hook on a technicality. By a vote of two to one, a panel of arbitrators overturned the suspension because the tester who collected Braun’s urine put it in his fridge instead of sending the sample to the lab right away, as he couldn’t find a FedEx store that was open on a Saturday night. According to Yahoo’s Jeff Passan, the tester’s behavior was “standard-operating procedure in every major doping program across the world.” Nevertheless, Braun’s attorneys argued successfully that the fridge storage was a violation of the agreed-upon protocol—“absent unusual circumstances,” urine samples were supposed to go to the lab on the day they were collected. Does Braun’s escape serve the interests of justice, no matter how bad it makes Major League Baseball look? Or do we all lose when someone who seems guilty gets off due to a procedural screw up? On the one hand, MLB agreed to the rules for handling samples and then broke them. On the other, Braun can now proclaim his innocence when it doesn’t seem he was proven innocent at all. This is a classic legal debate between strictly enforcing procedural rights and worrying more about the substance of guilt and innocence than process. The framers of our Constitution came down squarely on the side of procedural protections. It’s a powerful and ingrained idea: Safeguard the right to be free from unreasonable searches, for example, and you’ll keep the government’s law enforcement powers in check. Better to let a few guilty people off on a screw-up than to weaken the underlying procedural protection—because that way, the framers thought, lay tyranny. In the 1960s, the Warren Court doubled down on that bet with decisions like Mapp v. Ohio, which said that no evidence collected in violation of the constitutional protection against unreasonable search and seizure could be introduced at trial, no matter how small the breach, how key the evidence, and how probable the defendant’s guilt. Apply that rule to Braun and he’d surely lose. The fact that his pee spent two days in the fridge—after Braun himself signed to show he agreed it had been properly sealed and packaged—is tiny potatoes when weighed against baseball’s interest in punishing doping athletes and the importance of this particular test in making the case against Braun. The Roberts court would probably take this approach: In a 5 to 4 decision in 2009, the justices backed away from a strict application of the Mapp rule, decreeing that evidence need not be excluded if the police error amounts to nothing more than isolated carelessness. I’m not sure Posner’s right—give the cops and the DA an inch of wiggle room and they may take a mile. And in the case of Ryan Braun, there was a lot at stake for the baseball star: Along with the blow to his reputation, Major League Baseball would have come down hard. A 50-game suspension is a big whack for a guy who’d never flunked a drug test before. Before we give up on being procedural sticklers, then, maybe we need to reconsider another piece of American exceptionalism—harsh punishment for a first offense.